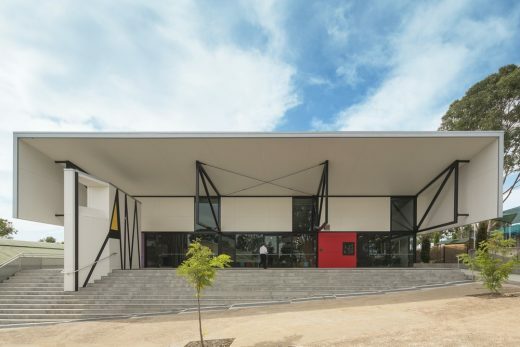 We’ve selected what we feel are the key examples of Australian School Buildings. We aim to include projects that are either of top quality or interesting, or ideally both. We cover completed education buildings, new building designs, architectural exhibitions and architecture competitions across Australia. The focus is on contemporary primary and secondary school buildings. A new library and community hub building. The mobile “market carts” allow books to be displayed or even moved to classrooms, further emphasizing the boundless influence of the library upon the school life. The idea of infinite learning became the mantra. Radiating out from the library, along the length of the form, are specialist precincts and a variety of learning spaces. Each wing of the building then returns to link up, forming cloisters and the resulting plan of an infinity symbol. Being structured around two protected courtyards has enhanced the learning space’s access to light, ventilation and view. “gm+ad have brought a deep commitment to ensuring that development strategies, design elements and materials used contribute to maximising the educational opportunities of the students. We believe them to be integral to us achieving the best facilities for our students.”…Glenroy Specialist School. 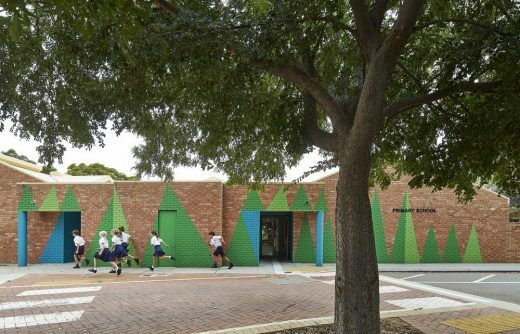 This school building for the International Grammar School in Ultimo, Sydney, celebrates the joy and excitement of discovery and learning for the young students, who have absolutely fallen in love with it. 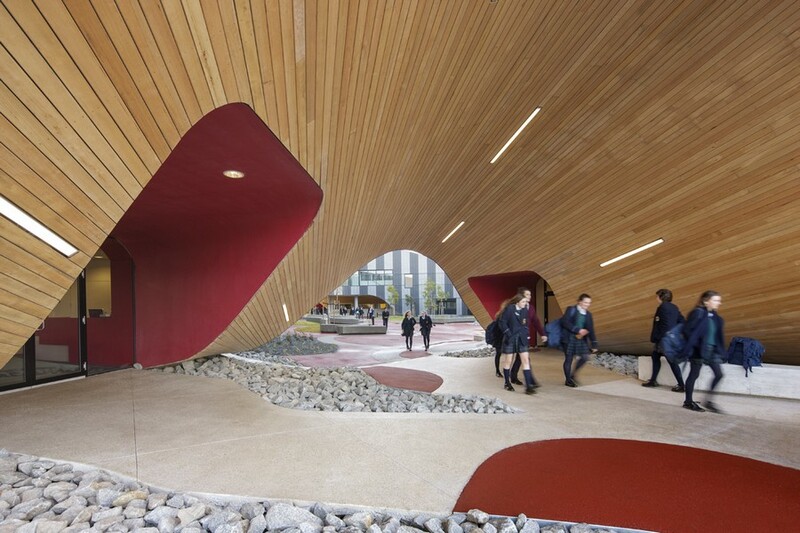 Michael Heenan, principal of Allen Jack+Cottier Architects has delivered an organic design to create a memorable and stimulating school building. A prominent Melbourne secondary school occupies the site surrounded by important landscapes. Several historic trees along its main campus orientation preface the original bluestone Quadrangle building. Opposite its street frontage are the Domain and Royal Botanic Gardens. The brief for the building is to create a new campus entry, the school’s library facilities and supporting lecture theatre and seminar room spaces to forge a new campus heart focused on learning.